Azul the largest airline in Brazil by the number of cities and departures, and Turkish Airlines, the largest airline group in Turkey, announced this week, the signing of a codeshare agreement effective as of 08 December 2017. 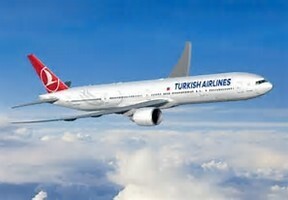 Through the codeshare partnership, Turkish will add its code (TK) on Azul domestic flights. As a result, customers will be able to purchase tickets directly from all of Turkish Airlines' sales channels to fly to Brazilian domestic destinations operated by Azul. "The codeshare with Turkish Airlines will be very important to strengthen our international presence, especially for customers travelling from Europe and Asia to Brazil. Now they will be able to enjoy the convenience of thru ticketing, check-in and boarding passes. On the domestic connection customers will experience the market leading and award-winning service of Azul, "says Abhi Shah Azul's Chief Revenue Officer. "As Turkish Airlines, we are glad to be a codeshare partner with Azul, one of the most important airlines of Brazil. In conjunction with this new commercial cooperation, passengers would enjoy travelling from Sao Paulo to different Brazilian destinations as a continuation of their seamless Istanbul-Sao Paulo flight", said Bilal EKŞİ, Turkish Airlines Deputy Chairman & CEO. Initially, the Turkish company will place its code in Azul's operations from Sao Paulo (Guarulhos) to 14 destinations in Brasil, like Rio de Janeiro, Belo Horizonte, Ilheus, Porto Seguro, Porto Alegre, Brasilia, Foz do Iguaçu and Florianopolis, for example. The routes offer fast and convenient connections for customers leaving Istanbul, the biggest Turkey city, to Sao Paulo. 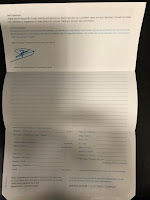 Moreover, the agreement works reciprocally; allowing both Airlines Customers to enjoy connectivity in their respective Hubs. Turkish Airlines flies to more countries and international destinations than any other airline in the world, currently operate to more than 300 international passenger and cargo destinations in total, on five continents. Azul, in turn, offers 755 daily departures to more than 100 destinations in Brazil, Europe, United States and South America.